The environmental performance of the National Airspace System (NAS) will be tracked using the NextGen Environmental Management System Framework to identify additional system improvements. The video "FAA TV: NextGen Flight 101 - The Passenger Experience", illustrates how NextGen has optimized communications, operations, capacity and efficiency while reducing environmental impact. Additional information is available at the FAA website. 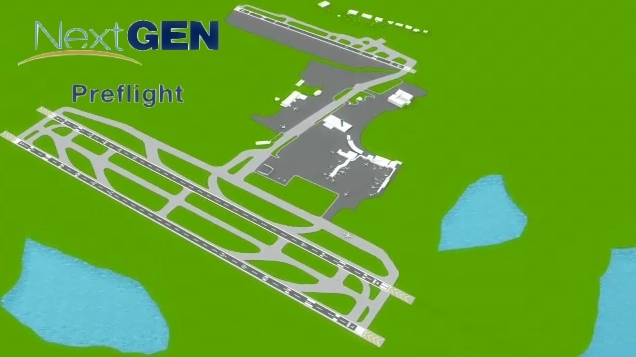 The video "FAA TV: NextGen International" introduces how NextGen is also implemented through International teaming. Additional information is available at the FAA website. NextGen relies on advances in communication, navigation, surveillance, and information-sharing to increase efficiency and optimize traffic flow across the air space. The air traffic control system is being transformed from a radar-based system with radio communication to a satellite-based one. Global Positioning System (GPS), similar to the location services on your phone, is being used as a technology for flight optimization. This enhanced efficiency will result in shorter routes, increased capacity, and both reduced time and fuel consumption for flights. The nation's air space will be more efficient, be able to handle a greater capacity, while keeping the airspace environmentally cleaner. Learn more at: NextGen. To help meet these goals, new Performance-Based Navigation (PBN) routes and procedures are in current use that utilize new technologies and aircraft navigation capabilities. Noise, air quality, climate, and energy are the most significant potential environmental constraints to increasing aviation capacity, efficiency, and flexibility. 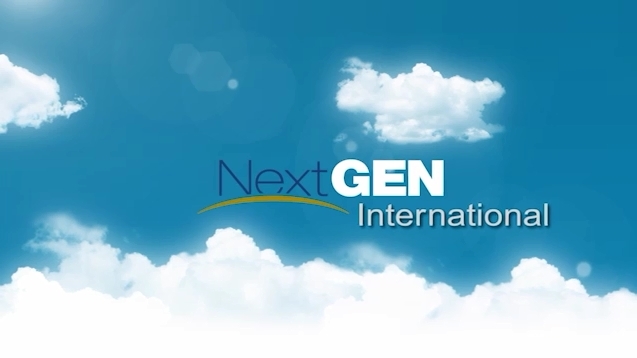 NextGen is designed to provide environmental protection and also support aviation growth. To address noise issues, the FAA has several established programs. The FAA has programs to limit the number of people exposed to significant noise levels. Significant noise is defined as Day Night Average Sound Level (DNL) 65 decibels (dB). Between 1975 and 2000 the number of people exposed to significant noise levels was reduced by approximately 90 percent due to legislation that mandated airplane fleets to transition to quieter, newer generation aircraft. Metrics and models are used to measure environmental impact. A new set of software tools was designed to evaluate the environmental effects of aviation. These include aviation-related noise and emissions, impacts on health and welfare, and industry and consumer costs, under different policy, technology, operational, and market scenarios. The FAA's Aviation Environmental Design Tool (AEDT) combines existing models to evaluate how noise and emissions affect each other. What are Decision Support Systems? NextGen seeks to increase efficiency and flexibility in the National Air Space (NAS) while reducing aviation's environmental footprint. NextGen is modernizing the national air transportation system through changes in policies, procedures, system upgrades and enhanced technologies. Decision Support Systems (DSS) have been developed that help controllers optimize traffic flow across NAS. The NextGen System helps to streamline the arrivals and departures of flights. The routes will be more efficient, which will have environmental benefits as airplanes will use less fuel and have reduced emissions. NextGen is delivering new benefits to users every day. Air traffic controllers have better tools. Pilots have access to more information in the cockpit. Airlines use more efficient routes, reach destinations faster, with less fuel use and emissions. The FAA is working smarter with strong partnerships with the aviation community. The capacity and flexibility of the National Airspace System (NAS) is interrelated with environmental issues such as aircraft noise, air quality, climate, energy, and water quality. These issues are addressed by environmental laws and regulations that can be further managed through government and industry initiatives. What industry initiatives advance NextGen? The FAA is working to enhance the development of new aircraft and engine technologies and to advance sustainable alternative jet fuels through the Continuous Lower Energy, Emissions and Noise (CLEEN) Program. CLEEN projects support the aviation industry in developing improved technologies designed to reduce noise, emissions, and fuel burn. Once developed, the CLEEN program facilitates the integration of these technologies into current and future aircraft. CLEEN is a NextGen program that promotes both environmental protection and sustained aviation growth. The CLEEN program was so successful that in 2015 the FAA initiated CLEEN II. CLEEN II continues to develop advances in aircraft technology and alternative jet fuels. Under CLEEN II, the FAA has established 5 year partnerships with Aurora Flight Sciences, Boeing, Delta Tech Ops/MDS Coating Technologies, General Electric, Honeywell, Pratt & Whitney, Rolls-Royce, and Rohr, Inc./UTC Aerospace Systems. These companies will match or exceed the awards in this cost-sharing program.